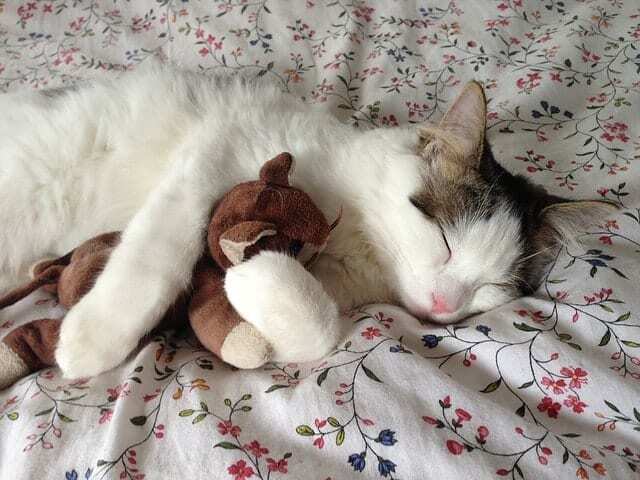 Cats enjoy playing as much as humans do, but often the toys that are made for them can be far less loveable. 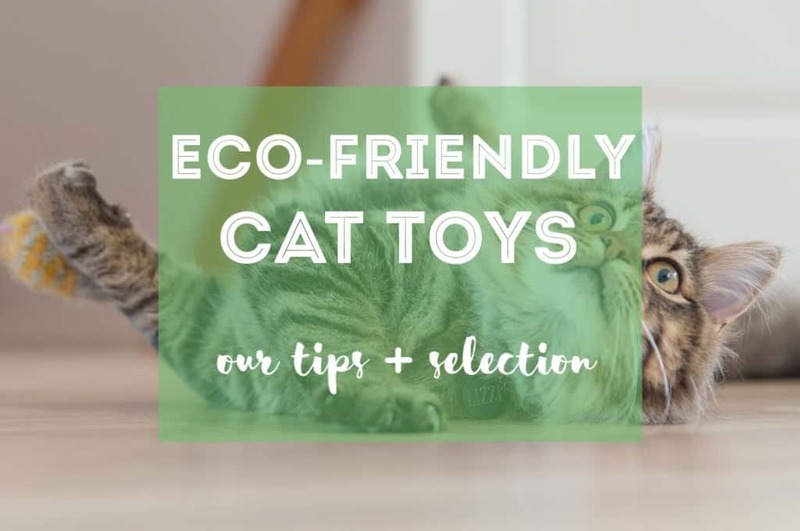 Making sure to buy eco-friendly cat toys is one of the best ways you can care for the environment at the same time as your cat. But why should you look at eco-friendly cat toys above any other? 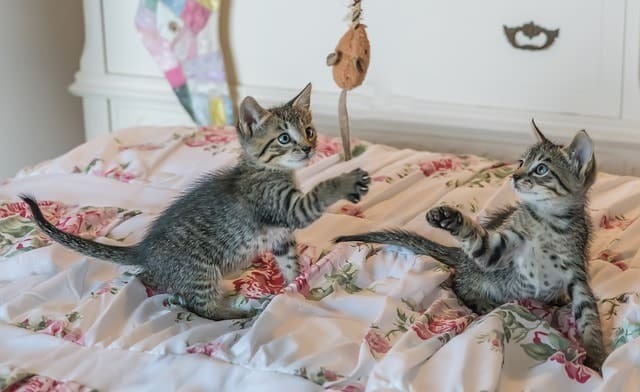 What Makes An Eco-Friendly Cat Toy? Cats are complex beings who have needs. Sometimes that’s food, sometimes that’s sleep, but other times they need stimulation. 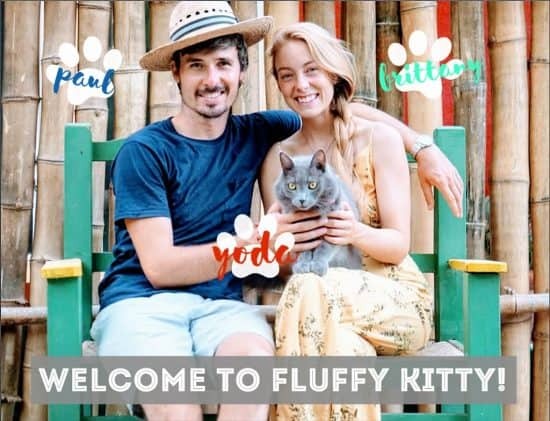 For a cat, having a stimulating lifestyle and environment is good for their mood, their mental health and by extension their physical health too. 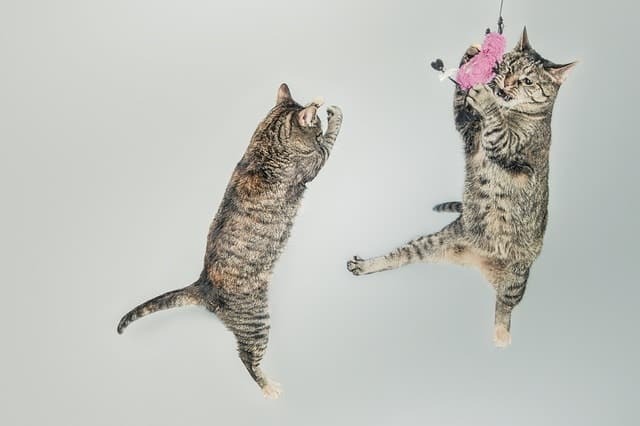 Cats display two different types of play behavior: solitary play and social play. They direct solitary play toward objects, like toys, skeins of yarn, paper bags, boxes and rolled-up paper. Social play is directed toward fellow cats, people or other animals. Stimulation for a cat can come in many forms, and cats can get stimulation from their environment as well as their toys. For instance, a cat may find a multi-level cat tree stimulating for them, one that allows them to climb, hide scratch all at the same time. There are plenty available to buy, but it’s possible to build your own version of these as well. Eco-friendly cat toys come in many different shapes and sizes. The amount of choice can get overwhelming! But there are a few rules you must try to abide by. Firstly, it’s important that your cat toy is durable. One of the worst things that can happen when you buy a toy is when it falls apart the moment that your beloved kitty gets its claws into it! A non-durable toy (such as a breakable plastic one) will only end up in the bin and create more waste. Also, make sure your chosen cat toy is not too small for your cat. Cats play with their mouths as much as their paws, and something too small could be a choking hazard. Watch out for any parts that may come off. Try also to find a toy that suits your cat’s mobility, agility, and personality. Are they very fast? They might appreciate something that moves a lot, perhaps rolls when they hit it like a ball. Are they slower, or older? In which case you should consider something more stationary, perhaps a toy on a spring that will not run away from them. 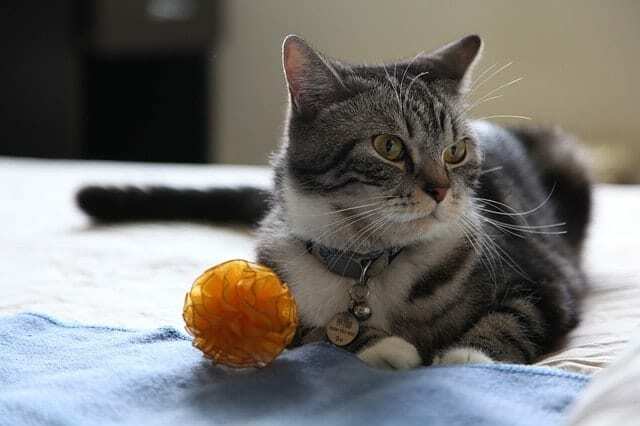 What Makes a Cat Toy Eco-Friendly? For a start, an eco-friendly cat toy will be made of non-toxic material. That means that is not only better for the environment, it means that it will be devoid of any harmful materials that your cat may swallow accidentally. These types of toys may instead be made of a sustainable, or organic material. Often, this can be hemp, sisal, or even bamboo which are natural alternatives to plastic. This means that the process used to make them is also better for the environment, and does not require harmful production processes. Alternatively, a cat toy may be made out of recycled material such as cardboard or off-cuts of fabric and rags. Even toys made out of recycled plastic are most sustainable than brand new ones! But the eco-friendly part of the cat toy doesn’t just end with the toy. A conscientious product will also take into account the distribution and selling of the toy. This will mean that there will be as little packaging as possible, with any packaging being wholly recyclable. So, now we know the benefits of them, what are some of the best eco-friendly cat toys available on the market? If you’re looking for something a little more out of the box (literally), you could look into this Creative Playhouse. Made by the delightfully named company ‘Cats Don’t Come With Instructions’, this is one for a cat with a good imagination. Intended as a novel take on the all-time favored ‘box’ toy, crucially this is made from 100% recycled cardboard in the USA and is quite a work of art. You might find yourself getting as much enjoyment out of it as your cat does! For those owners looking for something a bit more traditional, this is a version of the ever-popular cat ball toy. Not only does it look stylish, but it’s actually made of 100% New Zealand Merino wool and is handmade by local women in Nepal. This means it is lightweight but also an eco-friendly cat toy option compared to plastic. If your cat loves batting around balls of yarn, then they will love these wool felt balls! If your cat loves to sit on paper, loves the crinkle of a bag, and loves to play hide and seek, then this eco-friendly cat toy is just what you need! This catnip-lined paper cat tunnel by Dezi & Roo makes the perfect hideout for your feline. The simplicity of this toy is what makes it a favorite among cat-owners. Once the tunnel has had its use, you can simply recycle and not worry about your footprint on the environment. Paper + a box in one! Perhaps the most favorited among cats and cat-owners in search of eco-friendly cat toys is the SnugglyCat cat activity play mat. This unique cat toy is made of 100% recycled bottles, making it definitely eco-friendly. Not your ordinary rug, The Ripple Rug is designed to twist, turn, and fold to give your feline a truly unique hideout and play area. Your cat can scratch, play hide and seek, chase friends and more on this rug! It’s user-friendly so that you can change its shape at any time to reinvigorate your kitty’s playtime. As we discussed, an eco-friendly cat toy is one that can be sustainable, durable, and natural. But it is also possible to upcycle or recycle things you have around the home to use. Cardboard boxes are a firm favorite among our four-legged companions, so keep hold of any you might have, and dispose of them responsibly when they have out-lived their usefulness. 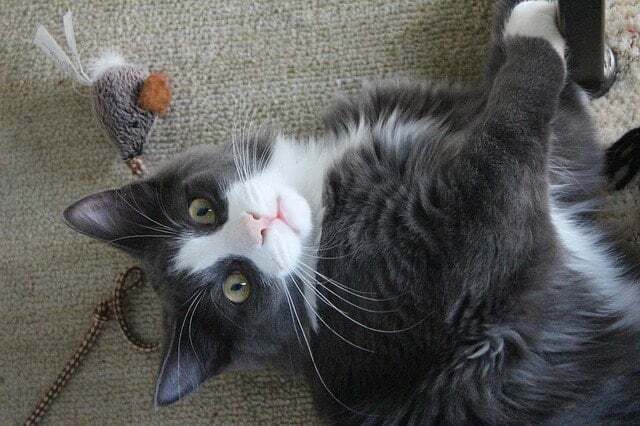 But you can also consider making your own eco-friendly cat toys out of recycled cardboard, rags, or wool. Sustainable materials are everywhere, and as long as you are keeping your cat’s safety in mind, it’s never been easier to provide eco-friendly cat toys for your beloved pets. Want more eco-friendly cat products? Check out our selection of eco-friendly cat beds and try making your own eco-friendly cat litter. Got an eco-friendly cat toy? Let us know! If we like it, we’ll add it to our list.